Dress is lace with sequins. It has a built in corset with zipper back. There is an ivory sash to define your waist. It is a light weight and beautiful dress. 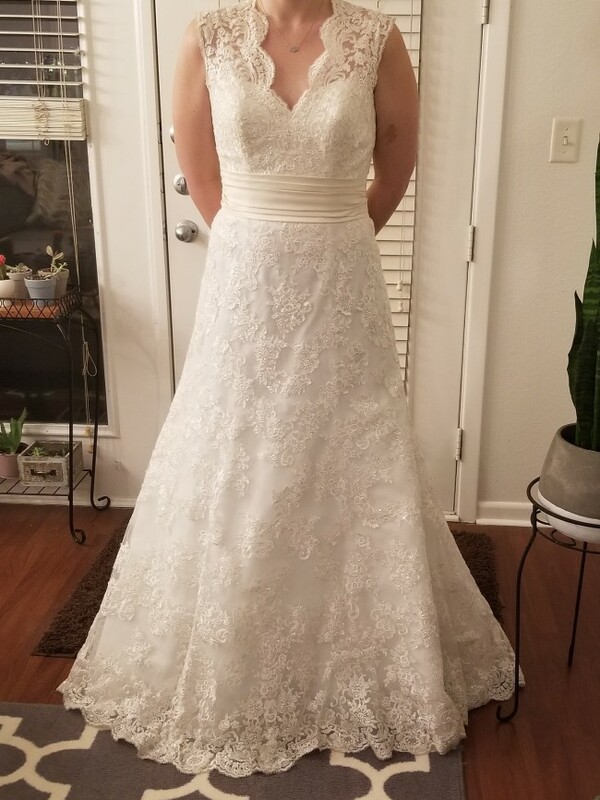 It has never been worn or altered. I am 5'9 and it hits the ground without shoes. Once you send a message, Kathryn can invite you to purchase the dress.